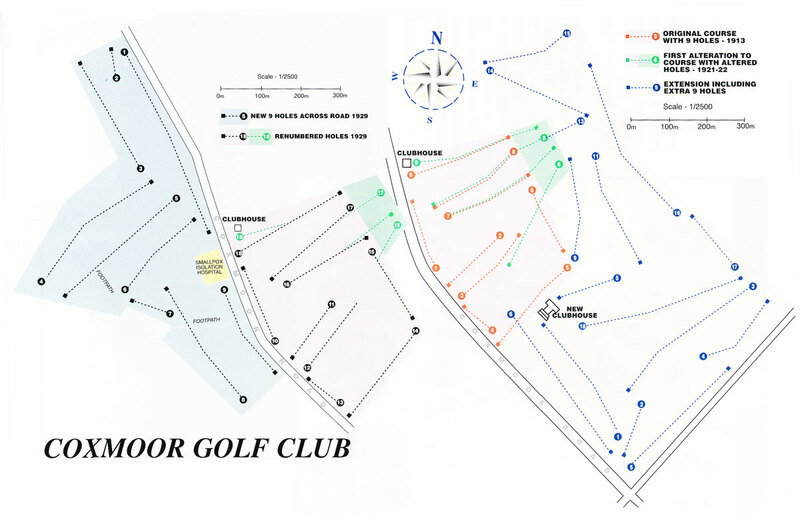 Towards the end of the 1920s, the question of extending the golf course into an 18-hole lay-out became ever more pressing. It was something the members wanted and, if the club was to take a significant position on the Notts golfing circuit, it was a necessity. The answer came from Mr Arthur Farnsworth, who owned Stonehills Farm, situated near the railway line at Sutton Junction. A golfer himself, he offered to lease the club a parcel of land which lay on the opposite side of Coxmoor Road. He proposed a very attractive rate which would come within the club's means. With the experience gained from laying out the original nine holes some 15 years before still fresh in the memory, the committee discussed the notion of becoming more mechanised - so the acquisition of a tractor to help produce the second nine, was discussed. Anyone who has seen the primitive horse drawn raking machine which stands beside the 13th tee today can understand why a more modern machine would be desirable. But once again, the club came up against the stumbling block of how to finance such an expensive purchase. As was the way in those early days when everyone was prepared to lend a hand to help the club's growth, another member came forward with the solution. Mr J. E. (Ted) Fish, of Fish's Foundry in Bottle Lane, Mansfield, who was on the committee at the time, offered to produce a tractor for the club. Readers with an engineering background will be interested to know the ingenious lengths Mr Fish went to in building a tractor for the golf club. He acquired a Model T Ford chassis - no doubt from a black car - added an extended rear axle, fitted 12 inch wide steel wheels and cast an internal cog wheel and cog onto the Ford's back axle, giving a 3:1 speed reduction. He also fitted rows of 3m steel spikes for grip. It may sound today like some sort of Heath Robinson construction, but it was a marvellous piece of engineering which gave the club excellent service for many years. The club supplemented Mr Fish's hand built tractor by purchasing a 3-gang Ransomes fairway unit which was used to rough out all the fairways on the new nine holes. Petrol for the tractor had to be delivered in sealed two gallon cans, 20 at a time, and it was stored in a shed on the old course side of Coxmoor Road. When the new nine holes were being built on the opposite side, it had to be brought over the road. The tractor could just scrape through the gates on either side - but in later years, when the road had been given a tarmac surface, it left a trail of spike marks in the road surface. Quite how Coxmoor managed to get away with damaging the King's highway is not known, but one can hardly imagine such a thing being tolerated today. The second nine holes were designed by Tom Williamson, who was the professional at Hollinwell, and by Len White, the Coxmoor club professional. As we marvel at the achievements of our modern-day team of greenkeepers, going about their jobs with the best machinery that money can buy, think fora moment about the skill and tenacity of those early golf engineers who needed wit, ingenuity and Some brute strength to create a golf course out of empty, featureless land. Much of the work was done with a heelbarrow and shovel, a horse and cart, and a hefty helping of that good honest sweat. But it worked and by 1929, Coxmoor had become a full 18 hole challenge. It is interesting to look at the plan, drawn from memory by Bill White, and note that the new nine holes on the opposite side of the road, were built around the site of a smallpox isolation hospital which must have stood close to where the white arched house is now seen. Presumably records about this hospital do exist. It would be interesting to know something about its history. To coincide with the lengthening of the course to 18 holes, which inevitably brought more pressure from an increased number of players, the committee decided to add a new room at the rear of the existing clubroom, together with improved gents toilet block, a shop for the professional, a pantry for the stewardess and an extended bar. This was completed in 1930 and was called the Gents Smoke Room. A sign on the door carried the solemn instruction - Men Only. Green fees at this time were two shillings and sixpence for weekdays, three shillings for Saturdays and bank holidays and four shillings for Sundays. Among the membership at this time was a certain well known cricketer from down the road at Nuncargate. Notts and England pace bowler Harold 'Lol' Larwood enjoyed a round at Coxmoor when he was not turning out at Trent Bridge or on his travels with the MCC. Of course, in the early '30s, this local hero became one of the most talked about cricketers of all time due to the Bodyline scandal during Douglas Jardine's Ashes tour to Australia. Larwood, the ex-miner and Coxmoor golf club member, caused an international incident with questions raised in parliament at home and Down Under, with his lethal line of bowling attack against the Aussie batsmen. 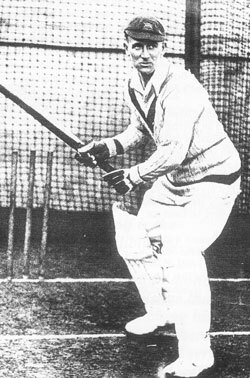 After that notorious series, Larwood resigned his membership at Coxmoor and eventually chose to make his home in Australia where he lived out the rest of his days. An event of more significance within the confines of Coxmoor was the decision in 1931 to elect Mrs Donald, wife of former captain Dr Donald, as the first lady to be balloted onto the general committee. In that same year, Mr J. Greenwood offered to provide the clubhouse with an honours board, listing the captains and presidents. It was around this time as well, that Coxmoor was connected to the outside world by the introduction of the telephone. To contact the clubhouse, callers would dial Sutton 48. Among the characters Bill White remembers from those early days are men like J. T. Hodgson, John Edward Scott and the builder Joe Searson who, more than 60 years ago, put five shelters on the course - and never sent the club a bill for the work. Today, there is only one still left standing: between the 11th and 16th holes. Others were situated by the second green - removed recently during course improvement work to the third tee; on the 18th and the 3rd holes, but these latter two were burnt down by intruders, as was the original shelter on the 14th. The shelter that stands there today is of later construction.